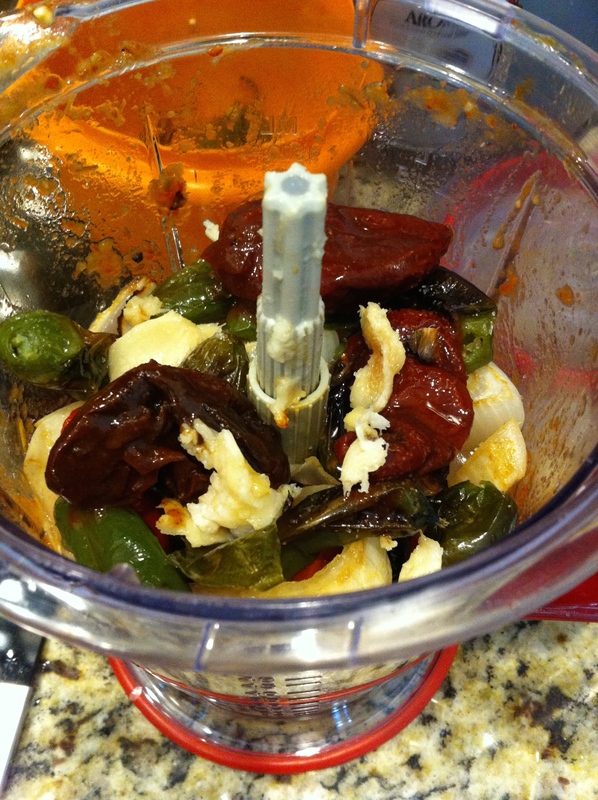 So what do you do when you have a bunch of tomatoes and jalapeno peppers? SALSA!! 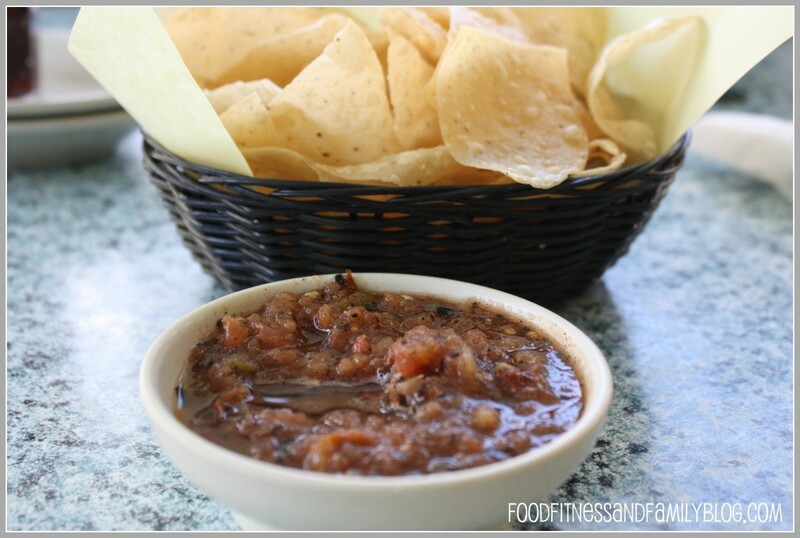 This is my all-time favorite salsa…..literally, every once in awhile we will drive over an hour just to get to the restaurant that creates this outrageous bowl of goodness …… CHEVY’S SALSA!! A pound and a pint (sometimes two) take-out always accompanies me home…that’s non-negotiable!! 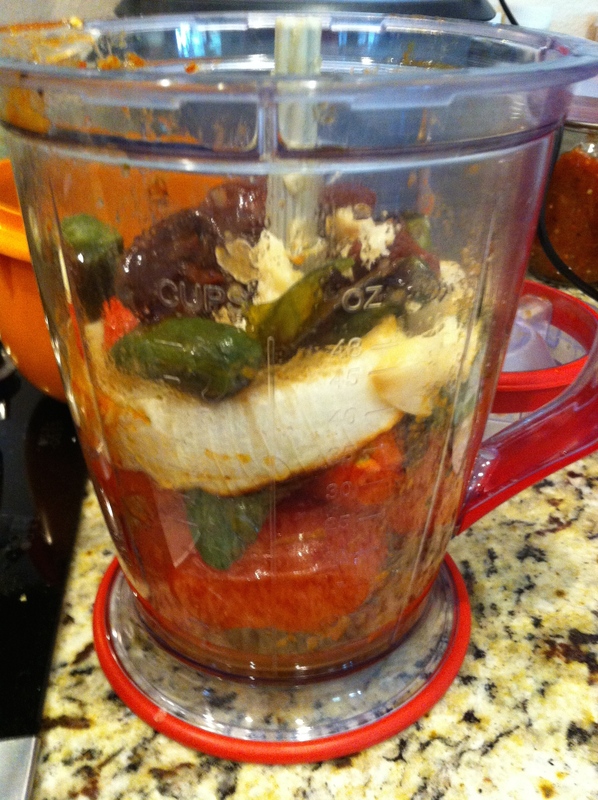 With this salsa addiction, I am on a quest to reproduce this outrageously yummy concoction. I just can’t get it right…there is always “something” missing and I can’t put my finger on it. 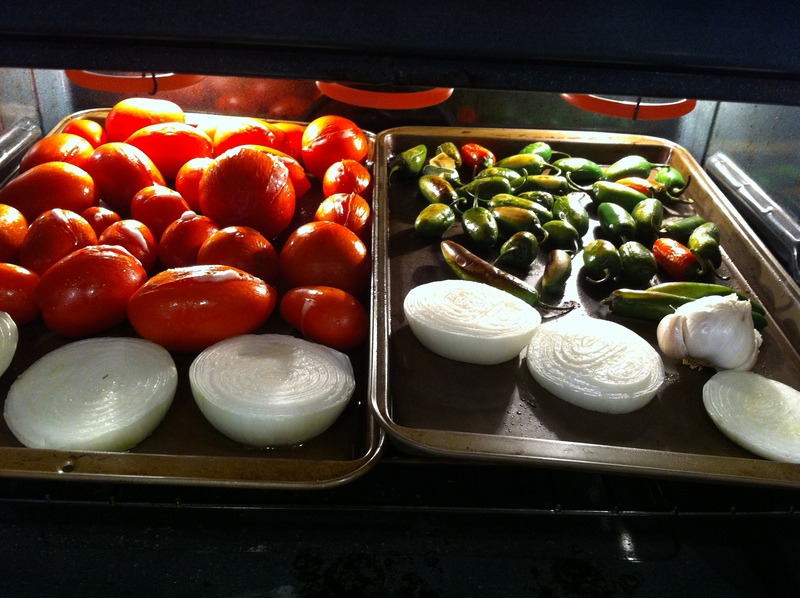 There are knock-off recipes out there that get me pretty close…just nottttt quite at the point where I can exclaim, “That’s it!” So, once a year when the tomato harvest is at full speed, I tinker with salsa…one of these tomato seasons, maybe I’ll get it right! 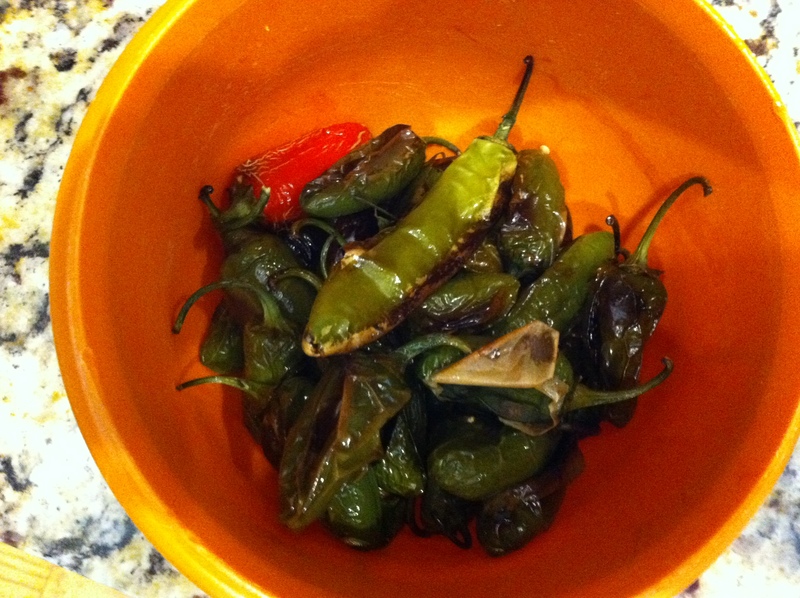 This is my latest attempt…..
An innocent looking bowl of fire! 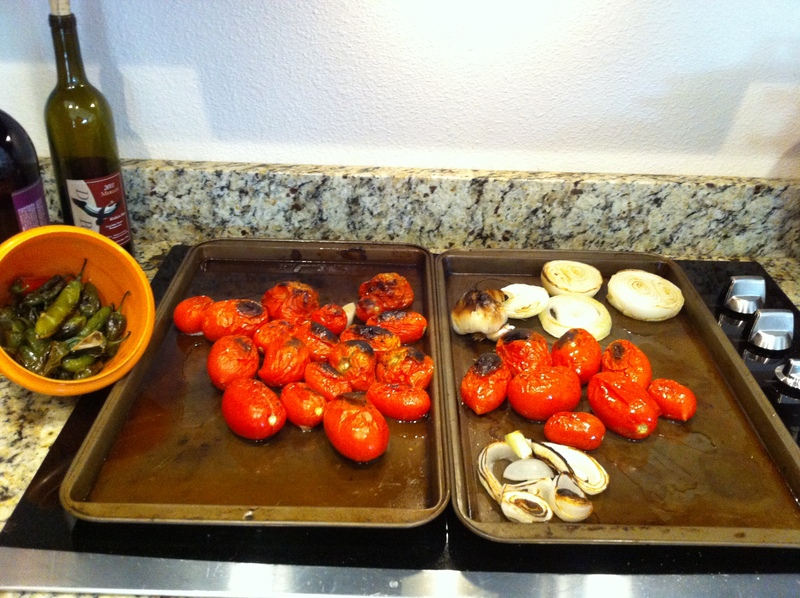 A new ingredient…trying to get a bit of a smokey flavor. The roasted garlic on top is so delicious and creamy. The chipotle peppers in adobo sauce did make a big difference. I still have to figure out how to manage more liquid in the finished product. 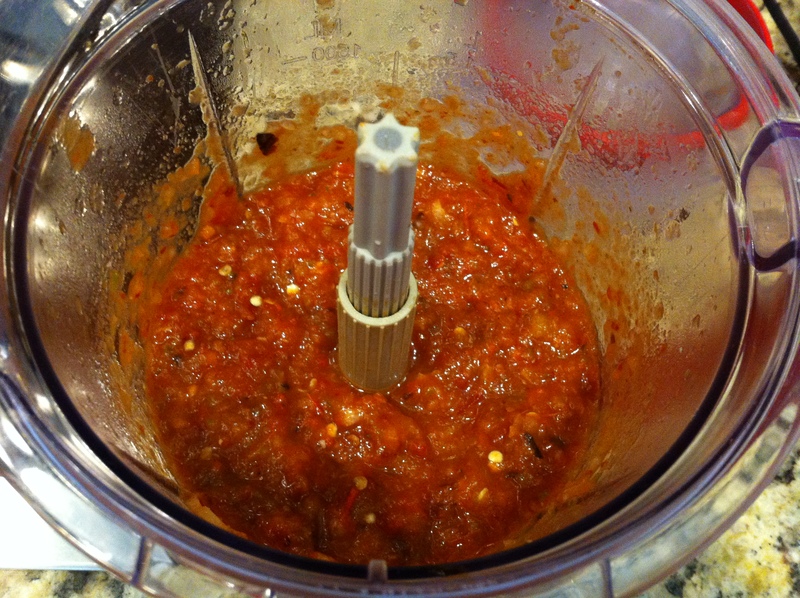 My salsa usually comes out quite “meaty”…not necessarily a bad thing, but I think a little more moisture would be good. 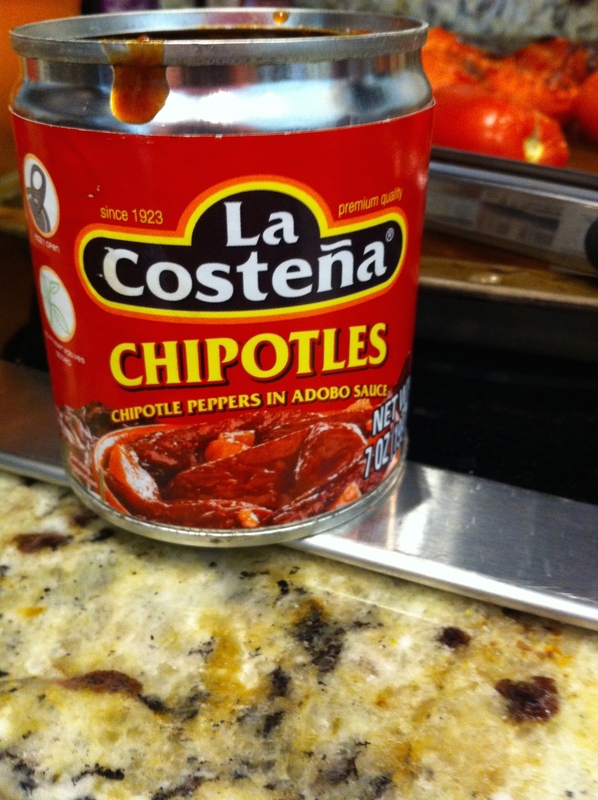 This definitely is one of the better blends…not sure that I’m satisfied as it is not as close to Chevy’s salsa as I’m looking for, but…yummy in it’s own way. Darn…I guess I’ll have to keep trying.. hahaha! Thanks for visiting my kitchen this morning. I hope you have an excellent day! !